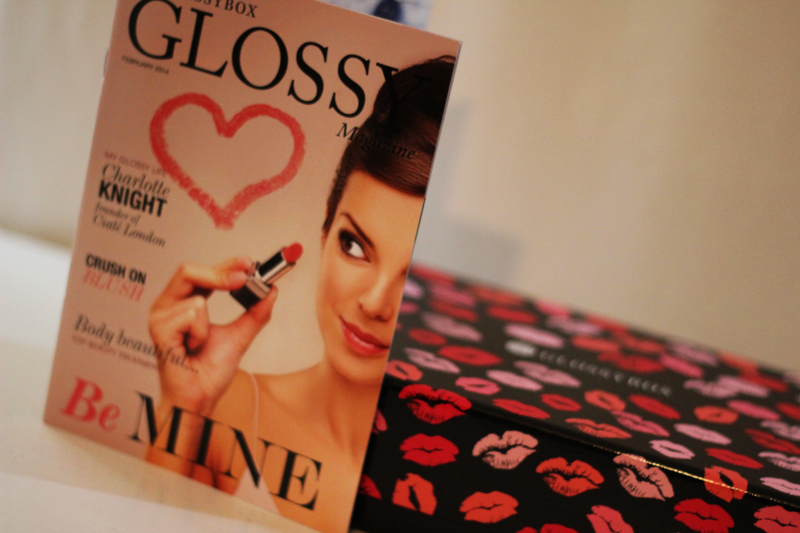 The February box was themed for Valentine’s Day, the box which is usually a plain gloss had a cute lips design and the products inside were there to help you get your flirt on. Nougat London SPARKLING BODY SHIMMER (full size £14): I’m not normally one for shimmer body lotions, too much body sparkle can look cheap however a subtle shimmer can help to provide definition and luckily this product is subtle. It also smells great and includes Vitamin E and wheatgerm oil so also good for the skin. Eldora EYELASHES (full size £3.90): I look forward to trying these out, they seem to have a good shape to provide a natural yet glamorous look. Ciate London PAINT POT COCKTAIL DRESS (full size £9): I am a big Ciate fan and a sucker for red nail polish so this made me happy. Maybelline New York COLORSENSATIONAL STRIPPED NUDES LIPSTICK (one size £6.99): I’m afraid this pale coffee colour is not a great shade for my skin tone but may work better for others. GIovanni Eco Chic hair care CHIC ULTRA-SLEEK RANGE (full size £7.99): This is the #1 selling natural hair care brand in the US and with my nightmare hair at the moment I am really keen to hear about natural hair products. This includes Moroccan argan oil, avocado and papaya. For those of you who also received this Glossybox I know what you are thinking, there is one product missing. Alright, just so you know the box arrived on my desk mid-week at about 3pm when the sweet cravings always kick in, so in a blink I had already devoured the chocolate before taking a group shot. 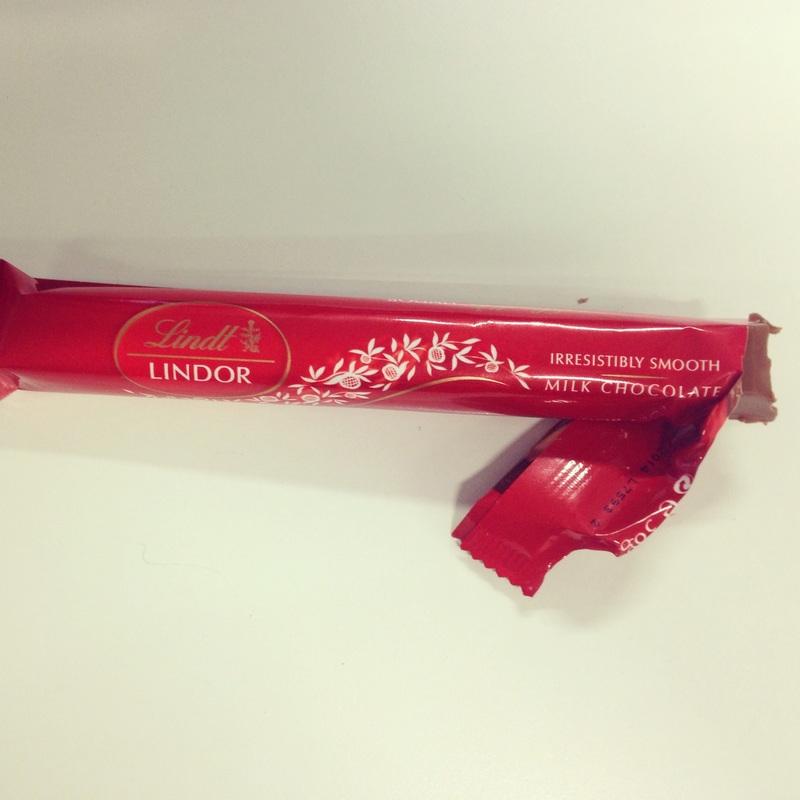 Lindt LINDOR TREAT BAR (one size £0.79) was a bonus product in the box and what a treat it was. As I only managed to stop for a second to take the above photo I think its clear I enjoyed this. Delicious! 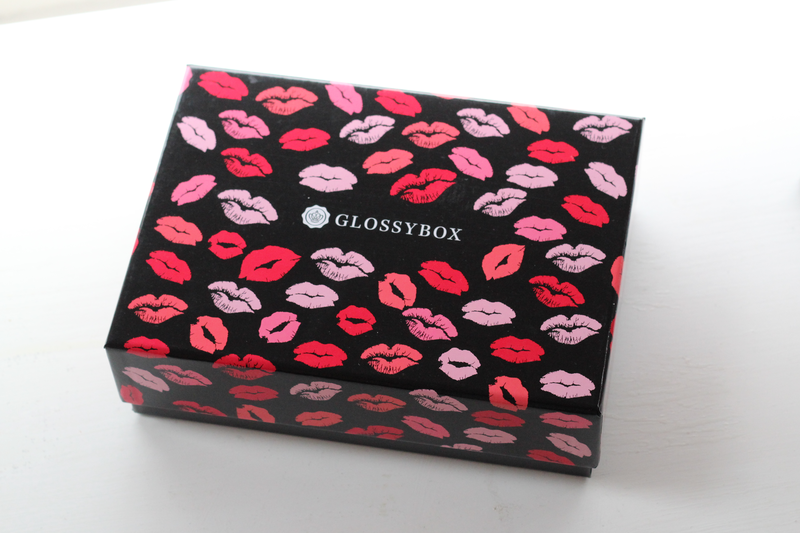 What were your thoughts on the February Glossybox?